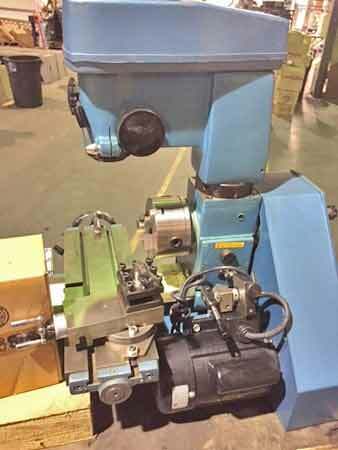 You have seen them in magazine advertisements, flyers in the mail or maybe one of the local collectors where you live has one: The combo lathe and milling head machine. Several companies offer import machines from Asia, and others offer units from Europe as well. You might see a combo unit at an estate sale/auction, a flea market or even for sale by someone who has out grown it and wants to upgrade. 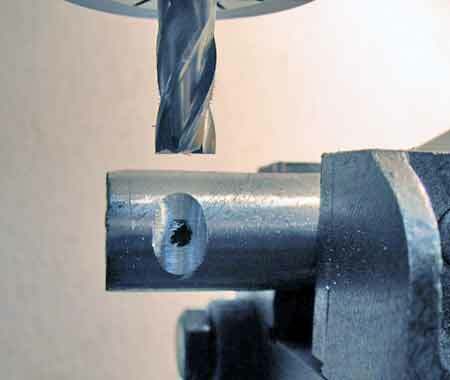 This article doesn't attempt to teach you machining in a few paragraphs, but rather to introduce you to the world of basic machining as well as some of the tasks that can be performed on these machines. We do this by showing pictures of projects we've worked on using a combo unit. 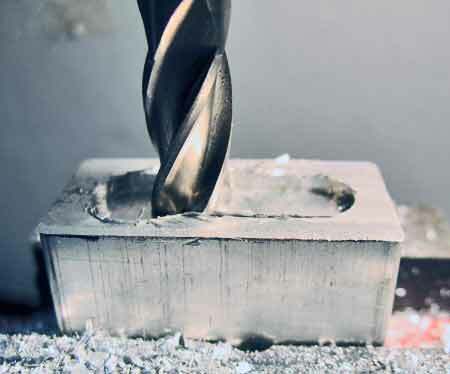 Once you see what can be accomplished, you can decide if investing in a combo lathe and milling head machine is right for you. Since we have a combo machine unit from Detroit Machine Tools (DMT — formally Smithy Company), we will use their machine for our demonstration. Our machine was originally branded as a "Smithy"; we'll refer to it by that name for this article. DMT offers an import from Asia and the model we have is an older 1220 XL (See Photos 1-4). 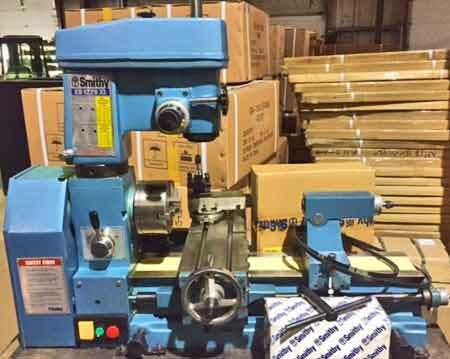 Photo 1 — Overall view of an older Smithy 1220 XL model combo lathe and milling head machine. The three jaw chuck is driven by the drive section on the left, the table can move lengthwise via the feed screw (on right of the unit) and cross feed (perpendicular) to the main bed (large wheel in front of the bed). The feed screw is engaged via the control knob above the shut off switch. The milling head can be raised via the twist locking ring for projects requiring extra room when drilling or milling. (Photo courtesy of DMT). Photo 2 — Rear view of the 1220 XL showing the electric motor. The motor pivots and locks using the adjustable eccentric lever to adjust the belt tension inside the gear cabinet. (Photo courtesy of DMT). Photo 3 — Inside view of the 1220 XL gear cabinet. The 1220 XL uses belts for both the lathe and milling/drilling functions. 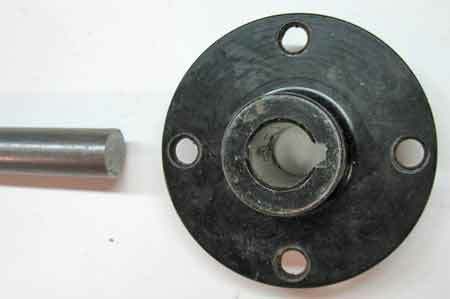 An intermediate pulley is available to offer slower speeds or longer belts are used for direct drive between motor and drive pulley. (Photo courtesy of DMT). Photo 4 — Author's own 1220 XL as used in the shop. In this view, the lathe's jaw chuck has been removed to permit maximum movement of the table while milling the project box. Note the ample lighting to direct light as needed for all operations. Can you spot one of the important safety items? It's the small bristle brush resting on the cross table used to sweep shavings away. A lathe is a machine used to turn cylindrical surfaces, facing flat surfaces, drilling and boring holes, and cutting external and internal threads. These are typical operations that can be performed consistently and are easily set up. As a lathe, the Smithy can handle small to medium size materials. The standard Smithy unit comes with a three-jaw chuck; a four-jaw chuck for offset turning operations is also available. The primary purpose of a lathe is to turn down or reduce a piece of metal stock to specific dimensions. Photo 4 shows the author's own 1220 XL set up on a specially-built, heavy-duty work table. In this simple example a mild steel rod is being made into an axle for a flea market cart. The shaft is 5/8 inch and the hub for the pneumatic wheels has a bore size of 9/16 inch, a 1/16-inch difference (see Photo 5). The relatively minor reduction of the axle shaft only took a few light passes with cutting tools (Photo 6). Photo 5 — This is a 5/8 inch diameter steel shaft being used for a flea market cart with the hub on the right. To fit on the hub, some material must be removed from the shaft. Photo 6 — Steel shaft is placed in the three jaw chuck and the cutting tool is applied to the edge to remove about 0.010 inches of material for each pass of the cutting tool against the shaft. Alignment of the cutting tool is important. It must be perpendicular to the material it is cutting and of the correct angle. 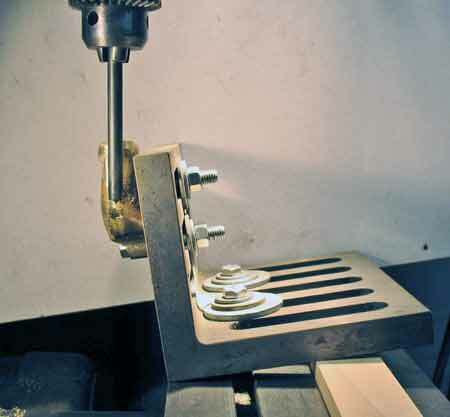 Other more common tasks are centering holes on round stock (Photo7), boring the internal material in large diameter stock (Photo 8), and cutting internal threads. Photos 9 through 16 show a gas cap, a radiator touring cap (or ornament base ring if the center was bored), and cigar lighter parts which were all parts turned on the lathe using various cutters. 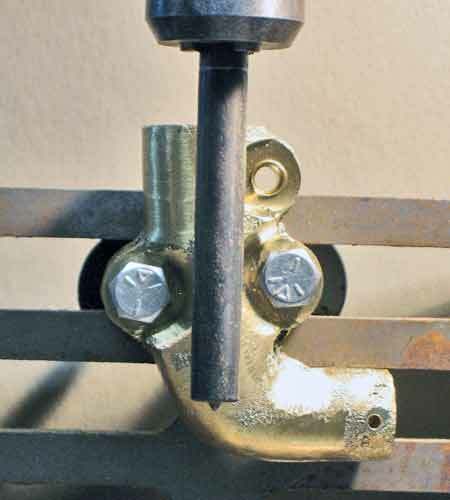 In the case of the gas cap and radiator base ring, solid brass was chucked in the head first for boring followed by using custom mandrels for further turning and knurling. Photo 7 — A common task is to use centering bits to bore a hole in the center of some stock chucked up in the lathe's head. The bit is held and moved into the round stock using the 1220 XL tailstock. 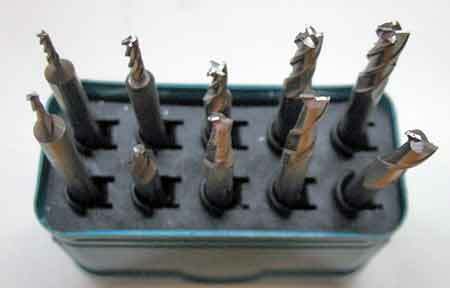 Photo 8 — Shown is a set of the centering and countersink drill bits used in Photo 7. A set like this should be included in your basic accessory tools. Photo 9 — A boring bar is cutting the inside of thick wall tubing. Note that the lathe head must spin in reverse to accomplish this task. Photo 10 — This gas cap is another example of a part machined on the 1220 XL machine. The cap started out as a solid piece of brass, was bored to the appropriate diameter and the threads were cut using small cutters from the Little Machine Shop. 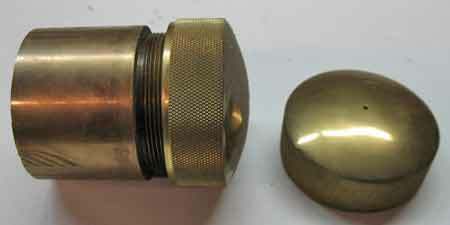 The brass mandrel was salvaged from a gas tank and used to mount (thread) the cap and machine the top round. Afterwards, a knurling tool was used to achieve the diamond knurl pattern. 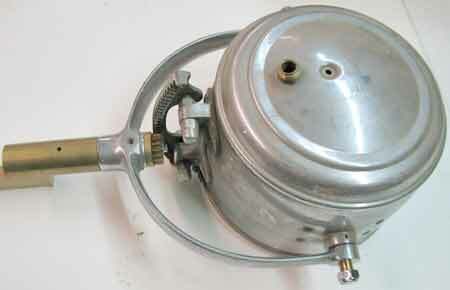 Photo 11 — Close up view of the internal threads cut into the gas cap. 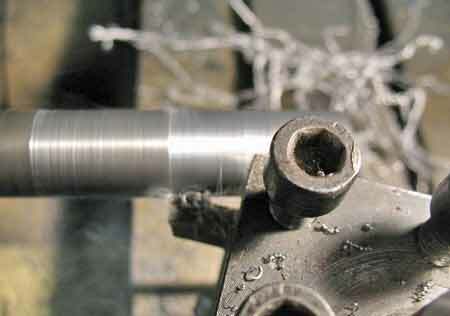 The lathe head was turned manually (in reverse) several times to achieve these threads. Photo 12 — Another example of a part machined on the 1220 XL machine. 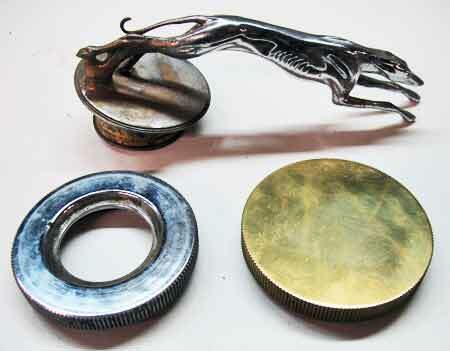 This threaded radiator cap is a plain cap or a touring cap if an owner does not want to use the more valuable grey hound radiator ornament while on a car tour or left overnight at a hotel. The plain cap can be further machined to bore a hole to accept the grey hound. Photo 13 — The plain radiator cap threaded onto the mandrel used to machine this cap. The mandrel is solid stock of 12L14, an alloy which gives a smooth, machined surface and because of its low friction component allows for increased tool life. 12L14 is commonly referred to by the trade name Ledloyâ„¢ The mandrel would be needed if the center were to be bored out or the edge knurled. 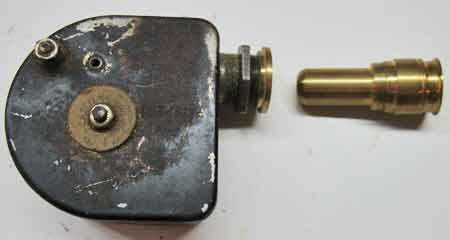 Photo 14 — Automobiles of the 1920's and 1930's used a cigar lighter with a pull cord tip. The tip could removed and fitted with a work light, useful when changing a tire in the dark. These tips are often broken or missing and replacements were machined on the 1220 XL machine. Photo 15 — Cigar lighter parts: Jamb-locking nuts, threaded bezels, lighter main body, and threaded tip (which holds the heating element). Parts like these are small and require a mandrel to chuck the work piece as part of the machining process. Photo 16 — Closer view of the cigar lighter parts, all requiring turning on the lathe or precision drilling and all required some sort of mandrel, both with male and female threads. Milling. The milling machine provides a stationary, rotating cutter and the stock is shaped by moving the stock beneath the cutter. The cutter can have multiple teeth or cutting edges which removes chips of the material as the cutter rotates. These cutting edges are on the outside edges of the cutter, although some cutters have cutting edges across the entire face of the cutter. Milling is the primary means for obtaining an absolute flat surface and is useful for new castings. 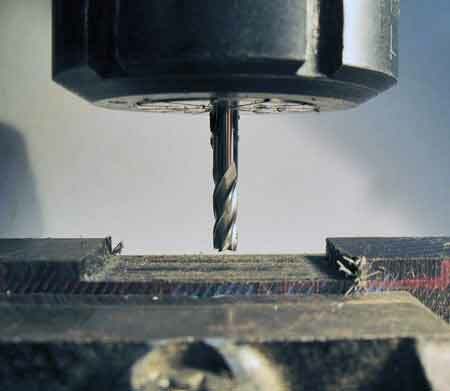 Using the milling head, one can use end mills (cutters) to cut into material or switching over to the drill chuck to perform precision drilling. 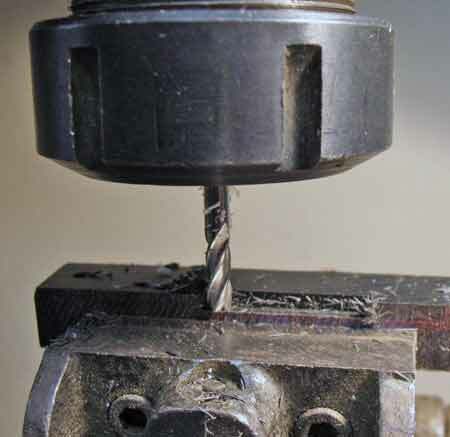 Photo 17 shows a tail light stanchion held in a vise and a milling bit is used to cut a round groove into the base. Photos 18, 19 and 20 show the milling of a type of plastic material, called Delrin, to be used as a wire insulator. This shows that the machine is capable of either milling in small area or across a broader area. For performing this task, the cross table can be maneuvered in either the X or Y axis. Photo 21 show the importance of using small end mills for this Delrin plastic and Photo 22 shows the accessory collet set we used in all the milling processes demonstrated in this article. Photo 17 — Photo shows an end mill removing some material on a tail light stanchion where a bolt passes by to keep the stanchion aligned in a bracket. 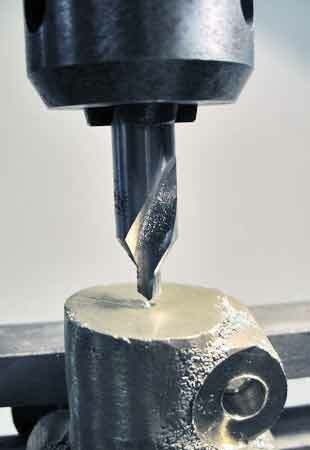 Photo 18 — An end mill is held in a collet and a piece of Delrin (Polyoxymethylene, also known as acetal) is fastened in the vise on the cross feed table and the Delrin is passed under the milling bit. All milling operations are performed manually with this Smithy unit, a disadvantage with this model. Photo 19 — Shown is the Delrin material after all passes are made. The end milling bit was raised for the photo. Photo 20 — The original wire suspension bracket with broken Bakelite insulators in shown at top. Below it are the final pieces of Delrin insulators fastened to a metal angle bracket. It is duplicated with some slight modification to the original. Photo 21 — Set of double end mills come in both two and four flute types. Sizes are: 1/16, 3/32, 1/8, 5/32 and 3/16, all in a 3/16 shank. 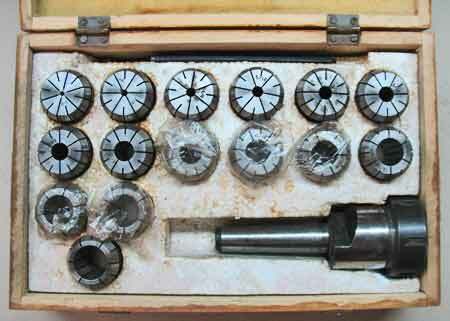 Sets like these often are on sale at tool suppliers like Travers Tool. Since they are small and may break, have spares on hand to complete your task and add spares to your next tool order. 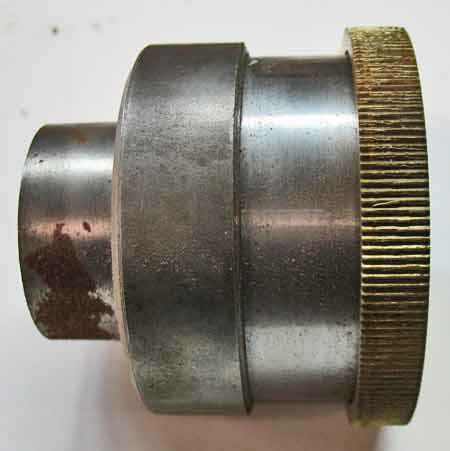 Photo 22 — Shown is a general purpose collet set using a Morse Taper #3 adapter and 12 collets for sizes 1/16 to 1/2 inch. Sometimes milling can require some creativity when fastening your part to the cross table. We started our brass bracket project by using a C-clamp to hold the brass casting onto the cross table for the initial milling of the three surfaces for the bolts. Photos 23 through 32 show the steps used for both milling and precision drilling on this brass bracket. Many machining operations require custom set-ups and alignment. Note the techniques we used to secure this brass bracket for milling and drilling operations it required. Be sure to allow for ample room when drilling, especially when working with large bits (Photo 29). Photo 23 — The brass bracket (rough casting) is held in place using a C clamp to perform the initial milling of the bolt hole areas. Photo 24 — The milling collet adapter is replaced by the drill chuck and the three holes are drilled into the brass casting, 3/8 for the two mounting holes and 5/16 for the clamping hole at top. Photo 25 — Now that holes are drilled into the brass casting, it can now be fastened to a slotted angle plate mounted on the cross feed table. Alignment must be done on both sides. A transfer punch is chucked to aid in alignment of the bracket. The wooden block is adjusted and the bolts on the cross table are tightened until the bracket is aligned correctly. Photo 26 —The bracket is again adjusted for alignment this time using the mounting through bolts into the slotted angle plate. This was intentionally not aligned for the picture to illustrate the angle. Photo 27 — A drill center/countersink bit is used to show/locate the center hole of this brass bracket. A benefit of using a milling head as a precision drill is that you can change drills in incremental sizes while the part is locked down. Photo 28 — The hole is progressively made larger using various bits. Checking for wall thickness as you progress will ensure the hole is centered for an irregular shaped part. 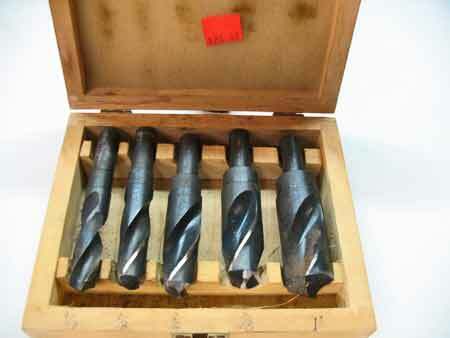 Photo 29 — This set of large drill bits was purchased at a flea market for $25. It may have only been used once, but they were the right tool for this task to drill out at 7/8 inch hole starting with the smallest at 9/16. Photo 30 — Side-by-side comparison of the tail light bracket. 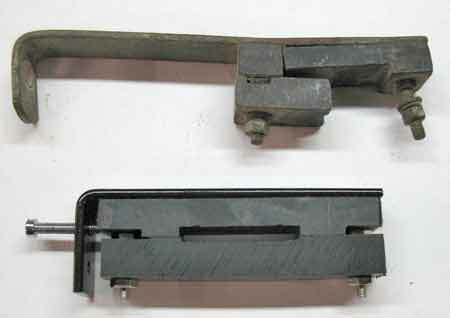 Left is the original steel bracket that was mounted on the driver's side chassis. 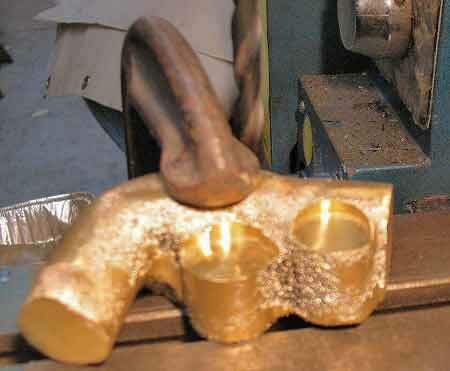 Center is the wooden pattern used to cast the right side bracket, and right is the completed machine brass bracket. Slitting is one more task that a milling head can perform and should be done in light passes. For the final step on our bracket project, we used a metal saw on a special mandrel to slit a groove into the brass casting where the bolt passes through to tighten the tail light's stanchion. 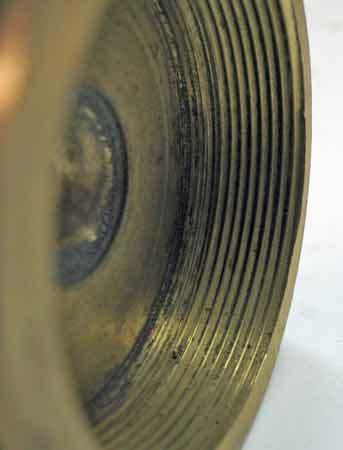 We used the same process to make a groove on the face of a high head brass bolt. Photo 31 shows where we started. The original bracket which was riveted to the driver's side of the chassis. A wooden pattern was carved to provide a symmetrically opposite bracket for the passenger side and a rough casting was made from this pattern. And lastly, the finished bracket. And Photo 32 shows the completed bracket on the chassis frame. 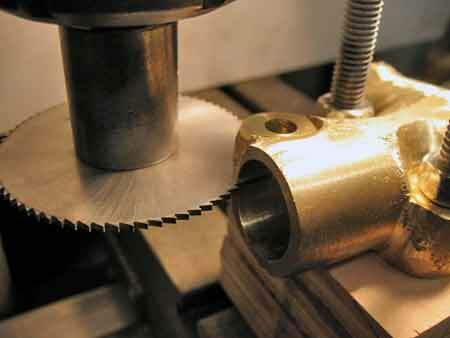 Photo 31 — A slitting saw was mounted onto a special mandrel in the milling head and a slit is cut into the brass casting. Photo 32 — The face of this special high head 1/4-20 brass bolt required a slit across the face. The bolt was held in a deep socket on the vise mounted on the cross feed table and moved across the saw's face in small increments. Photo 33 — The completed brass bracket is riveted to the chassis. This is a good example where milling and precision drilling for the rivets would effect the positioning of the bracket on the frame. The next series of photos show a turn signal indicator being machined from solid aluminum bar stock. First, in Photo 34, we determine the appropriate size we want our finished block to be, relative to the size of the two light emitting diodes we will be using. Next, we squared the block using a milling bit (Photos 35 — 37). A 3/8 milling bit was selected even though a larger bit could have performed the job in fewer passes. This was because the same 3/8 bit was needed for our next step, hogging out the middle. The aluminum block was flipped over and many passes of the 3/8 milling bit milled out the middle section (Photo 38). Afterwards, a smaller 3/16 milling bit was used to clean up the straight edges and make crisp corners. The completed indicator project is at Photo 39. Photo 34 — Solid block of aluminum is shown to fit small Light Emitting Diodes (LED's) for a turn signal display. To accept the LED's, the alum block must be hollowed using milling bits. Photo 35 — The first step after the aluminum block was cut was to square up the block. Shown is the block held in a vise on the cross table and the milling bit lowered to the appropriate height. Photo 36 — This picture illustrates the need to adjust the milling bit down a few more thousands of an inch before proceeding with milling the rest of the block. 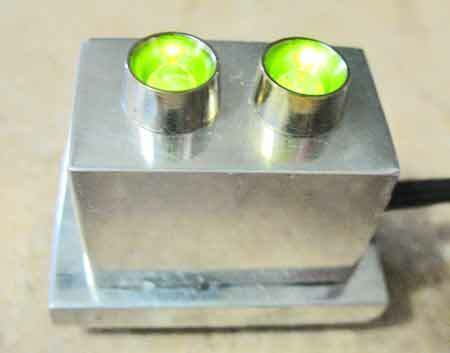 Photo 37 — The turn signal indicator aluminum block is completed in milling one side using the 3/8 milling bit. 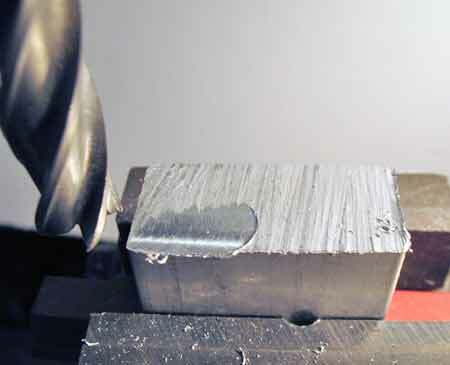 Note that tool marks left on the surface are normal when milling surfaces. Depending on your project, they maybe removed via filing or sanding. Photo 38 — The alum block is held in a vise on the cross feed table and the block is positioned under the milling bit. The bit will be lowered into the block and light passes are made by moving the cross feed table under it back and forth. This is also referred to in the industry as hogging out a part. Shown is the 0.125 inch depth pass. Photo 39 — The completed turn signal indicator. The two LEDs are held into the block with small locking nuts and the wires are encapsulated in hollow parachute cord. Strong magnets hold the indicator onto the dash while driving and permits removal at a show if the owner desires. Our final project is a running board spot light (Photo 40) which is a work in progress. The light was purchased at a flea market because the drum shape of the lamp closely matches the shape of the headlights on our project car. 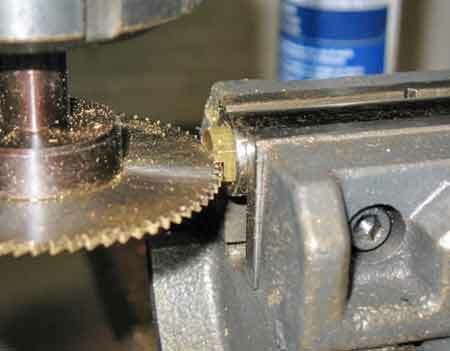 The modifications required are a new base pole mount, created using the lathe, and cutting a straight tooth gear (Photo 41) which uses the milling head and an accessory called a dividing head. The dividing head permits a part to be rotated an exact number of equal parts, sixteen in the case of this gear. A dividing head is the type of accessory which you may only need occasionally, so it may be hard to justify the investment. In this case, we borrowed one from a fellow collector. Photo 40 — Two tasks have been performed so far 1) sizing and turning the brass pole adapter into the light's yoke, and 2) making a straight cut gear. Photo 41 — Close up view of the straight cut gear. 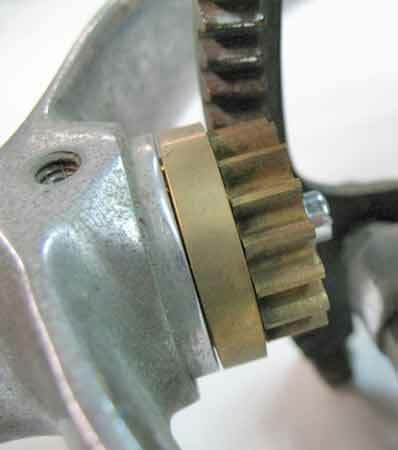 This brass gear was machined on the 1220 XL using the milling head and an accessory called a dividing head (not shown) which rotated the gear at precise intervals. Drilling: Drilling on our combo machine provides precision when drilling holes in an exact location and to a precise depth. 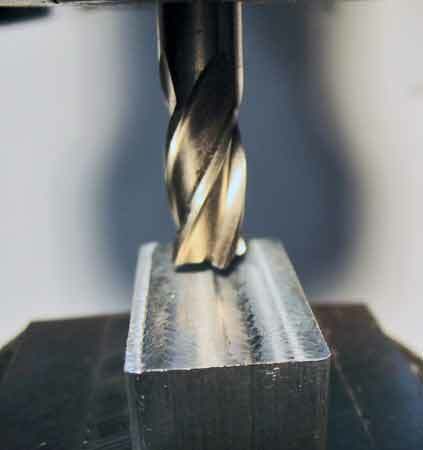 This precision makes it possible to change drill sizes while maintaining the same exact center. This is necessary when it is necessary to progressively increase a hole size). 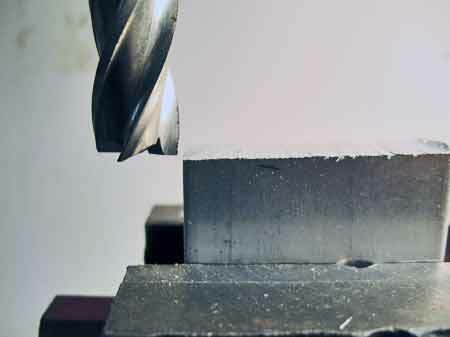 Further, if a hole needs to be shifted (redefined) or placed accordingly, precision drilling provides for this function. 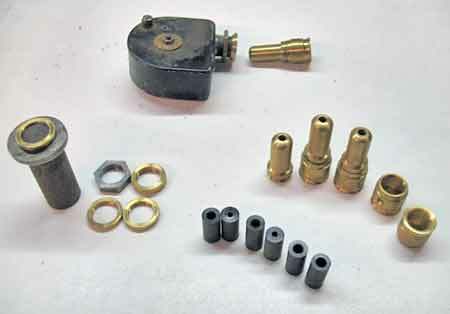 Good examples are removing a broken stud where absolute center is required or locating a threaded hole in a new casting. 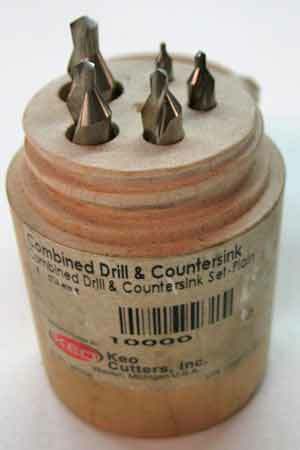 As a drill, combo units often include a drill chuck with adapter to a milling interface (Morse taper #3 in the case of the Smithy 1220 XL). Positioning the table under the drill permits precision drilling of the work piece for both X and Y directions and drill depth. 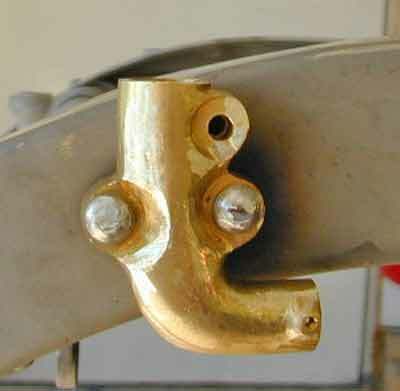 Examples of precision drilling are drilling the holes in the above casting where the hole position would dictate the brackets position onto the chassis (see Photo 32). Measurement — Good measuring instruments are required while making parts using any lathe or milling head machine. 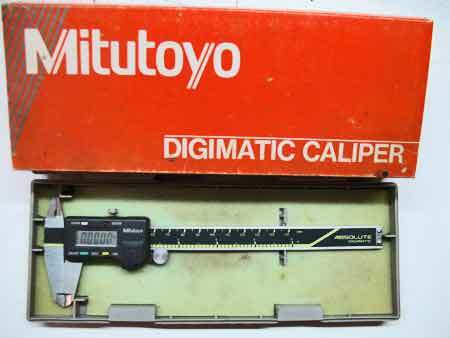 This import caliber from Mitutoyo provides for English, Metric and absolute measuring up to six inches (Photo 42). They are affordable and available from many tool supplier such as Travers Tool. Photo 42 — As part of your time learning machining skills, you will need instruments for measuring your parts. Digital Calibers, such as this one from Mitutoyo, are not very expensive and sometimes are on sale at better suppliers such as Travers Tool. 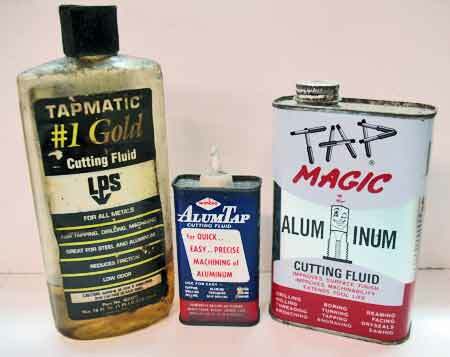 Lubrication — To succeed in making parts, whether using a stand-alone or combo machine, you have to use lubrication. You will need to understand the functions of cutting oils and when to use certain products. 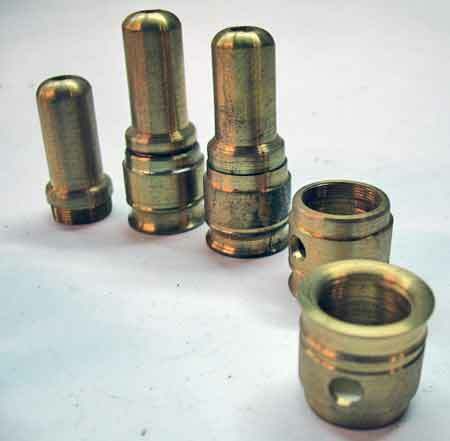 Lubrication provides cooling, part quality and tool longevity (Photo 43). Photo 43 — As mentioned, machining requires various methods of lubrication. Many products are available for specific metals. Take the time to understand them and when and how much to use. Depending on the material being machined, all that maybe needed is a few drops whereas harder materials may require constant (spray) lubrication. It's important that you take some time to learn about some of the machining processes mentioned here. Older machining books found at yard sales, library sales racks or other places are great economical sources for the lathe (turning) and milling operations. Often, these resources are loaded with information on how to set up workpieces and the order of the steps necessary to achieve satisfactory results. Subscribe to the Home Shop Machinist. This is a great place to start to learn about this fascinating skill. Peruse the article index and notice the extensive list of training DVDs and books available. Acquire catalogs and sales circulars from some of the sources listed here (e.g. Travers Tool). Become familiar with the cutting tools and jigs needed to perform a task. 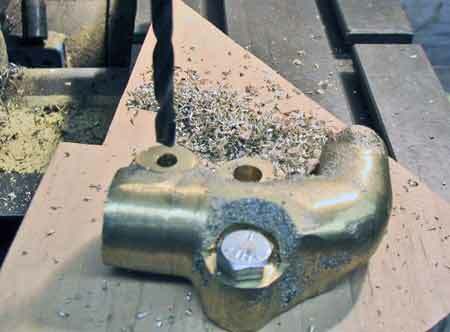 The internet is a great source of videos and other instructional material on machining tasks. Take advantage of these resources and become familiar with the methods and details shown in those tutorials. Consider joining discussion forums for machinists. There are many experts out there that are willing to share their expertise...all you have to do is ask. If your considering the purchase of your first machine, ask the opinions of these experts about specific machines...maybe they have one and can offer insight into its quality. If (and hopefully when) you decide to plunge into the world of machining, establish a work area suitable for such work. When locating your machine, keep in mind that some cutting fluids and metal chips will fly out as the machine runs. A sturdy table capable of supporting 1,000 pounds will be needed. While your machine may weigh less, the momentum of some work pieces turning will need a sturdy work table. Machining in general usually includes tooling and accessories that are heavy. Consider including roll out drawers in your table design, but be sure to use heavy duty drawer hardware that allow for full length extension. Expect these drawers to hold a hundred pounds or more. The surface area should be large enough for the both the machine and resting small tools and accessories used when operating your machine. Locate your machine in an area where you can accommodate long lengths of stock since round and hex stock typically is sold in twelve foot lengths. 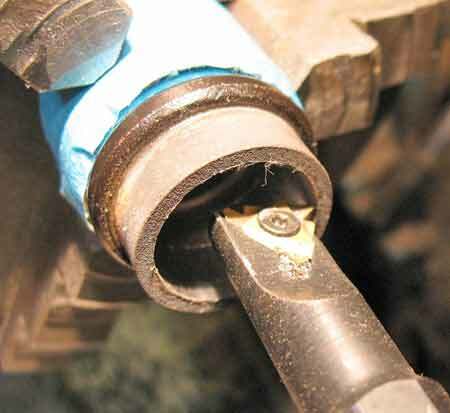 Locating your machine with the lathe head against a wall will defeat the purpose of running long stock through the lathe's chuck. And don't forget to consider storage of your stock. As you work through your stock, you will accumulate quantities of miscellaneous sizes of stock, and it's useful to be able to keep them organized. Ample lighting should be considered when setting up your work area. Articulating swivel head (or goose neck) lights are quite helpful to direct light into an area. 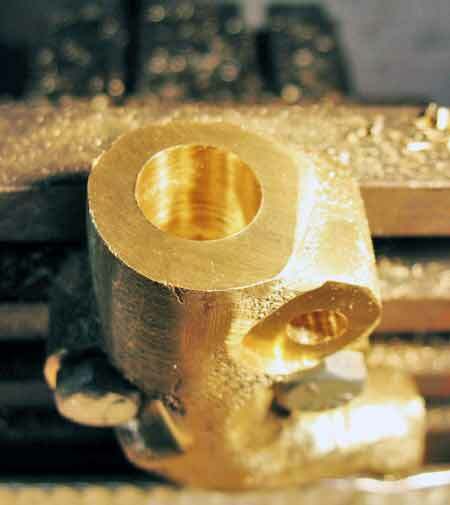 As you learn the practice of machining, imagine how a part can be machined. Ask yourself, "if I had to make this, what steps (and in what order) would I perform to make this part?" Apply this to the steps needed to the parts in this article. Machining involves purchasing equipment, tooling, and accessories. It's an investment which only you can justify based on the type of work you plan to perform on your machine. Protect your investment and set up in a good low humidity location. Summary: At the time the author entered the machining trade, the Smithy 1220 XL was a machine offering good features at an attractive price for the hobbyist. The 1220 XL has provided an opportunity to learn basic and advanced machining practices while keeping the expenses to a minimum. Given today's choices amongst vendors, investing in a 3 in 1 combo is easier. Your choice will have to balance how much you're willing to invest for the projects you will be performing. Changing the Power Feed to perform turning at a selected Threads Per Inch (TPI) requires the operator to change a series of gears inside the cabinet. The instructions are good and the procedure is not complicated, but nonetheless it's an inconvenience. Higher quality units or stand alone lathes use a gear box with control knobs to select the needed TPI. Detroit Machine Tools now offers the Granite Series which includes a quick change gear box. There is no power table feed while operating the milling head. 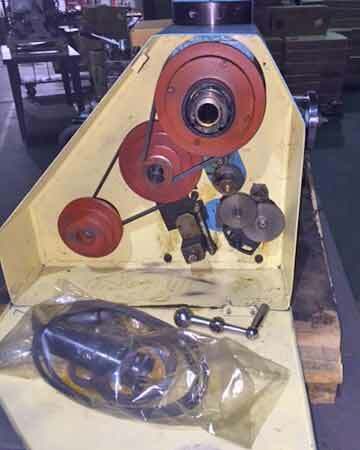 Since the table feed is connected to the lathe function, when the milling head is engaged, the power feed is disabled. Having a power feed feature is quite handy while making multiple light passes. Instead you have to manually crank the power feed screw to move the table (and hence the work piece). A power feed is now available on the Midas LTD models and the all Granite series models. Plan and understand accessories. The Smithy 1220 XL uses Morse Taper #3 interface for the milling head and tail stock. Look ahead. If you think you will out grow your "beginner machine", check to see if the accessories you purchase now will be interchangeable with your subsequent purchase. Some companies use Morse Taper #4 or R8/JT-3. Will the accessories bought now be usable in the future? Talk to the retailer/manufacturer. Knowing this in advance may help you decide which machine to choose. The Home Shop Machinist, Since 1982, subscription magazine for home shop machinists by machinists. Machinery Values website for used machinery. This maybe overkill for the beginner, but provides useful info on many makes and models. Locator On Line is a website for used machinery. Provides useful info on many makes and models. On-line tutorial on a milling machine, useful info for the beginner. 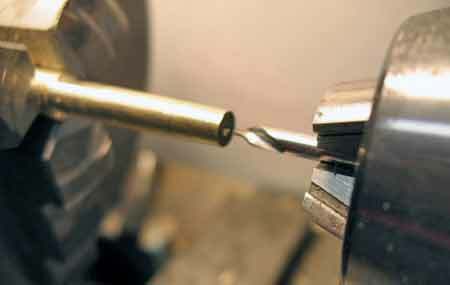 On-line tutorial on a Lathe, useful info for the beginner. 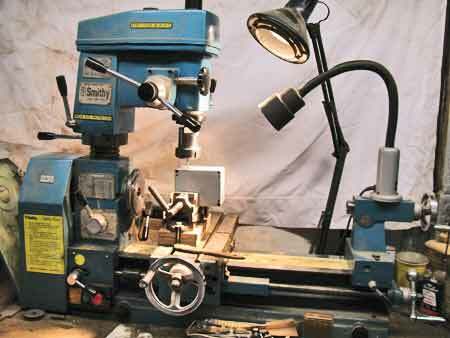 Little Machine Shop is a premier source of tooling, parts, and accessories for bench top machinists. Useful for small milling and lathe tooling. Practical Machinist is an on-line resource for traditional and advanced machining processes. Includes a Discussion Forum. Travers Tool offers drills, mills, taps and dies, cutting tools and other accessories. Speedy Metals offers materials and caters to the hobbyist for small quantities. Metals Depot is a source for materials. On Line Metals is a source for materials. American Machinist is an on line resource for the Machining Industry. Sherline offers lathe, milling and tooling mainly for the model Hobbyist. Books: Machine Shop Practice, Volumes 1 and 2, Industrial Press Inc., 1981.